Lactation Consultants of Atlanta offers Ameda Hospital Grade pumps and Hygeia Hospital Grade pumps for rental in the Atlanta Area. Rental fees are paid in advance and pumps may be rented at any of our Rental Locations. 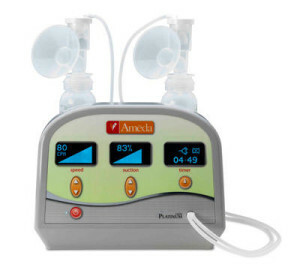 The Ameda Platinum™ Breastpump makes it possible for mothers to create a multi-phase experience. Its independent Suction and Speed controls are at the heart of Ameda’s commitment to customization. With dual controls and greater adjustability, it is easy for a mother to follow her flow by simply adjusting her pump controls until she finds the settings that trigger fastest milk flow. With Custom Control, mothers can easily find their own best settings every time. The Elite provides hospital-grade, computer-driven technology to mothers in a variety of settings. The variable suction strength and cycling speed options are set independently of each other to accommodate mother’s personal comfort level and to closely simulate baby’s nursing patterns. 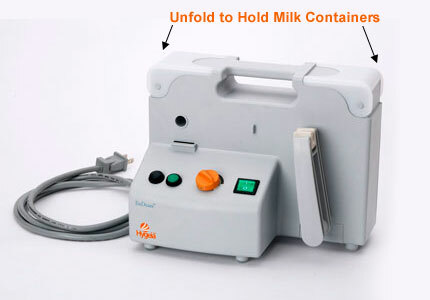 The EnDeare™ Breastpump is a hospital-grade electric/battery double pump with all the performance and hygienic features found in the hospitals. For long-term and frequent pumping, the EnDeare™ Breastpump provides the best in quality and hygiene. The EnDeare mimics your baby’s unique suckling patterns with customizable speed and pressure controls. It also features the unique Hygeia CARE Button for Customized Audio Recording Experience, so you can record your baby or other sounds to enhance your breast pumping experience. See our list of current rental locations.